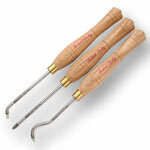 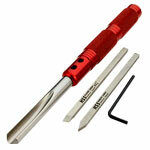 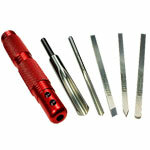 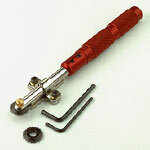 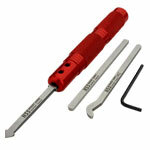 When it comes to woodturning tools, you don't need to shop anywhere else but Hartville Tool. 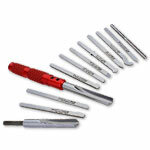 Browse our extensive turning tool selection and buy everything you need to create your next woodworking masterpiece. 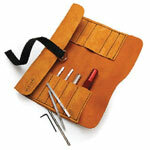 Choose from your favorite brands, including Crown Hand Tools, Robert Sorby, Easy Wood Tools and more. 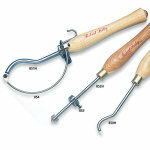 Bedan and captive ring tools. 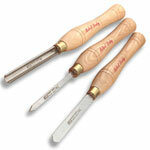 Turning handles and multipurpose tools. 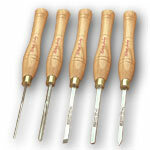 Spiralling and texturing, hollowing, thread-cutting, and beading and parting tools. 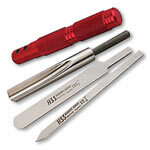 Skews, turning gouges, scrapers and turning tool sets.